I've played piano for a long time, had tried guitar a little, but was fascinated with the portable fun that playing a ukulele could bring to my life. I went to a music store and bought one, and started playing. 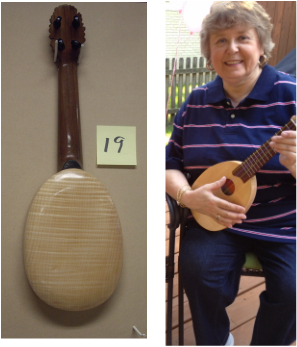 But then, in August 2011, I heard the first concert model "Pinecone" Uke at Brian Griffin's house, and raved to my husband about it. "Sounds nice" was all he said. In the months that followed I mentioned it a few more times. "Hrmph" was his only response. Then, Christmas, 2011 he sent me to the closet to get a secret package and there it was! 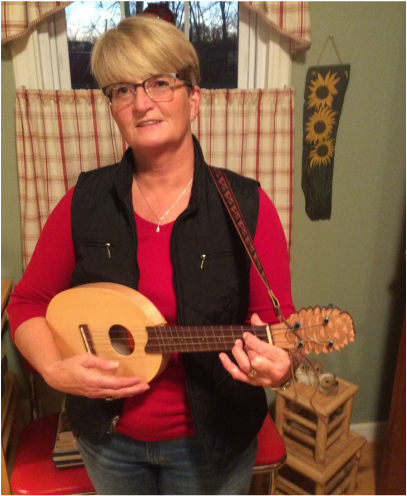 My very own hand-crafted "Pinecone" uke! To tell you the truth, I wept, I was so overcome...it is so beautiful in appearance, so compact, but most important , it sounds so wonderful. Thank you, thank you, thank you for bringing beautiful tone, great fun, and fine craftsmanship into the life of a grateful Concert "Pinecone" owner! I know that its one of the best things I've ever been able to call "All Mine"
I was just sitting here playing my Griffin tenor. I play it for at least 1 1/2 hours a day. I own a few other custom made high end ukes but always reach for my Griffins first. The rich,deep mellow tone is something I haven't found in any other uke I've tried. Your choice of woods was right on. The old-growth red cedar sound board with black walnut sides and book matched figured maple back looks spectacular. The weeks you spent putting a French polish on it really made it shine with a deep, deep luster; something only a master craftsman takes the time to do and has the pride in his instruments to warrant it. My pinecone travel soprano, made with an Englemann Spruce top, concave hand carved fiddleback maple back, maple sides with a walnut neck and Honduran rosewood fretboard is light as a feather with the volume and sound quality of a high end soprano. 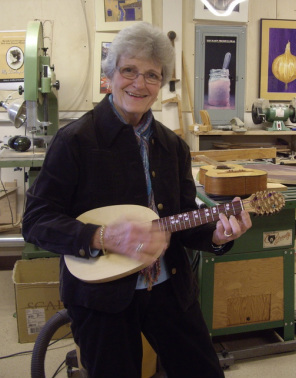 The build quality, action and spot on intonation is evidenced by your desire to have your ukes around in a hundred years for someone, somewhere to be marveling at a quality instrument made by a master luthier in his one man shop. Thank you so much for making such wonderful, quality instruments. I can't wait to order my next one. They will be treasured by my family for generations to come. 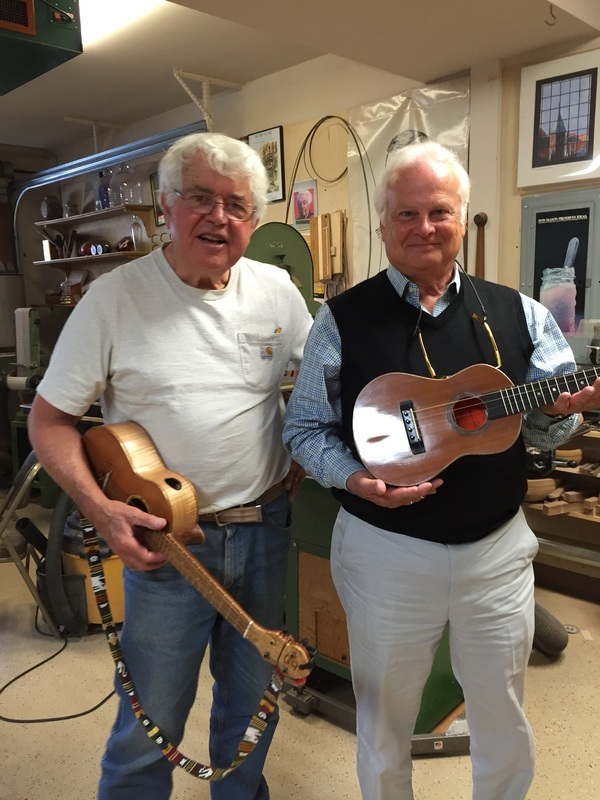 I purchased a tenor ukulele from Brian Griffin a little over a year ago. It is an outstanding musical instrument. My husband, who is not a big ukulele fan, says my playing sounds so much better since then. Not only is it a fine musical instrument, it is a wonderful piece of art. Outstanding craftsmanship and magnificent woods add to its beauty. Along with the ukulele I received a description and history of all the different woods used, and how they affect the sound and quality. I plan to enjoy playing my ukulele for many years. Oh my gosh, I love i! But you knew I would! Its beautiful in its simple elegance, and the Aurora strings add just the right touch. It sounds terrific, and feels just right in my hands. The letter was such a wonderful bonus and makes it that much more special. I'm going to go read it again right now. 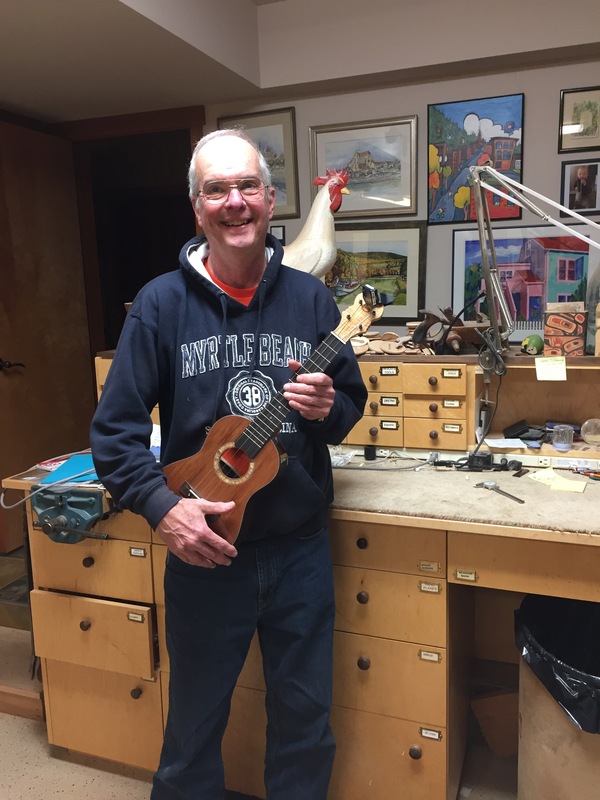 John bought my 6th build, a cedar top tenor with walnut sides and a figured maple back, He told me the other day, "I have four ukes. I find that the first one I pick up every day is the Griffin. I don't do it with a purpose or pre-intent, it is simply an involuntary thing I do, I guess I like to play it best" Now that is a lovely testimonial. Thank you John! I purchased my first Griffin Concert Pinecone fitted with the low G string and was won over by the mellow harp-like tone. Well, what can I say? Of course I had to add the Soprano Pinecone with the high G (re-entrant tuning) to complete the set. I received this photo and a delightful message in an e-mail yesterday 5/17/15. Cathy Shaeffer, (center) wrote,"Hi Brian,just a note to let you know how much I like my Pinecone. 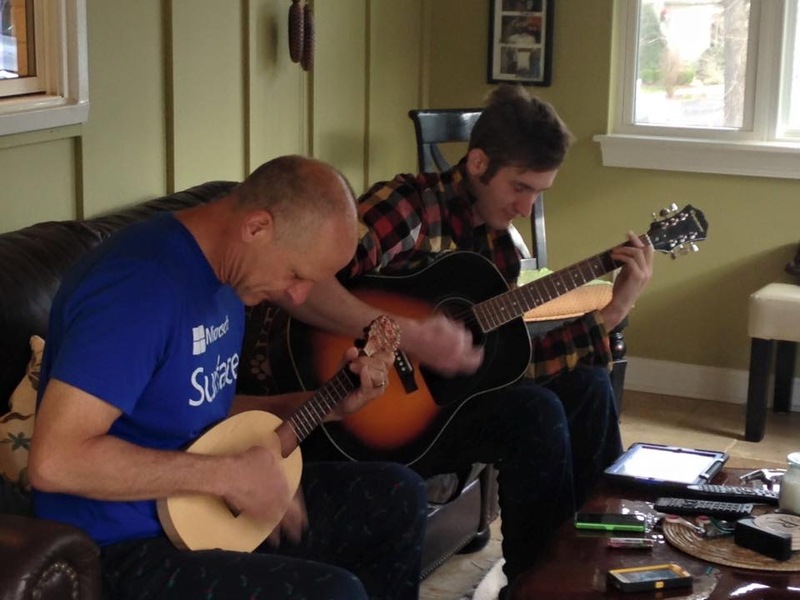 Quite a few people in Anacortes have your pinecone uke. Here are just three of us. 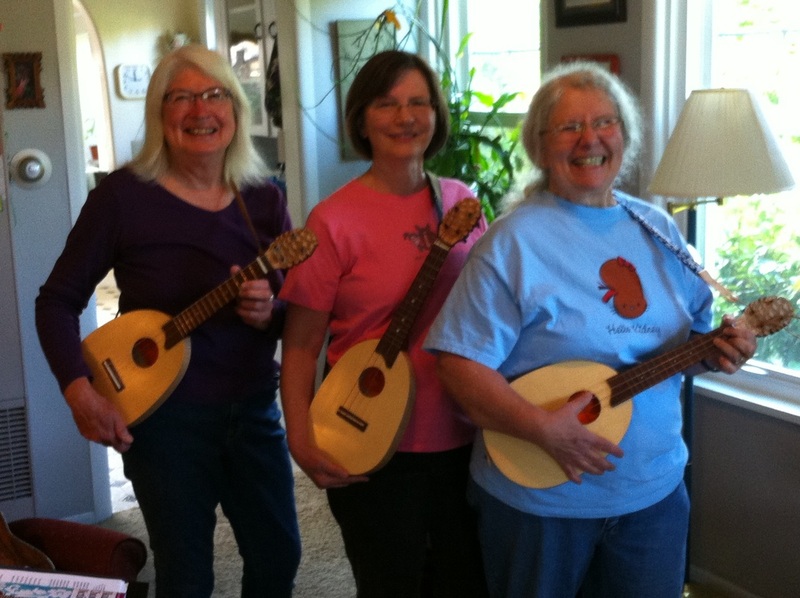 Linda Zielinski (left), Stephanie Stirling (right) and I are practicing for the I Love A Ukulele concert in Bellingham" Thanks Cathy you have warmed my heart. Meet Robin Coakley of Merseyside, Great Britain. Robin is a recent graduate and hopes to attend medical school in England. Her father Paul bought her a Concert Pinecone. Happy strumming Robin. Brian- I just finished practicing with my ukulele and felt compelled to write to let you know what an absolute joy it is to play the instrument you hand-crafted. It is a true delight! The collection of woods, redwood,rosewood,mahogany and ebony , that you used to make the ukulele are simply beautiful to look at and to hold in your hands. But.....the real joy is the sound!! Oh, do I love it. It's got a special clarity and richness thats uniquely pleasant to the ear. 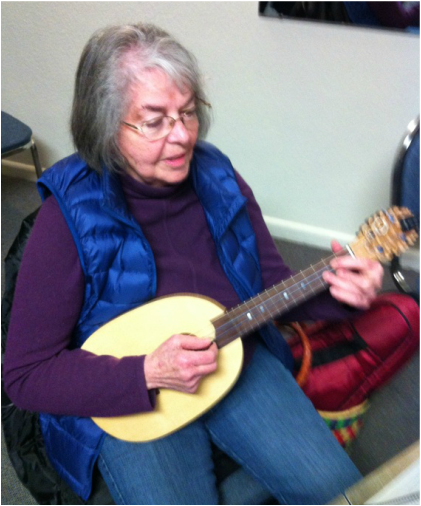 It's hard to put down and my other ukes are getting very little exercise. Again, just wanted to share how happy I am with my Griffin Ukulele. It's one of my personal treasures with the added benefit of having been made by a supremely competant craftsman with whom I can talk and visit. It sounds beautiful and looks beautiful"
Thanks Bonnie, that is music to a luthier's ears. Hi Brian, been playing my walnut tenor now for a couple of weeks and wanted to let you know that all is well. It has become the favorite of my small collection. Love the wide fretboard and the sound hole. I am also glad I decided on the pickup. I acquired an inexpensive acoustic amp (Behringer AT108) and it sounds great. ​I did restring it to reentrant​ tuning. To my ear the wound strings overpowered the nylon and the difference bothered me. I had some Martin Strings in my collection that sound very nice. And re-stringing was very easy. the hardest part was tying a knot in those slippery nylon strings. Loved the slot they fit in, and the pegs just pulled out. Perfect !